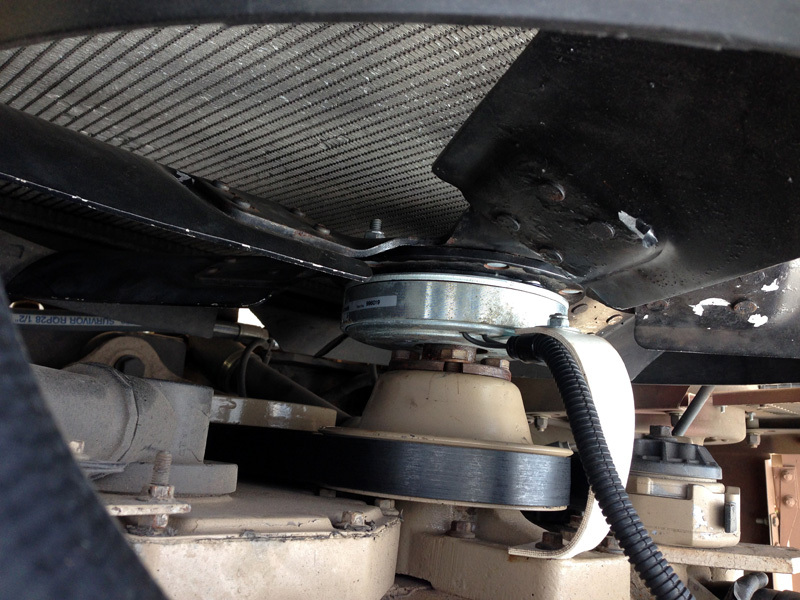 It is strongly suggested to complete a pre-trip inspection on any vehicle before hitting the road. A simple walkaround for a civilian Honda Accord (for example) can catch a tire that is almost flat or a leak from the engine that didn't exist before. Most people only do these type of checks before a long distance trip with the family. 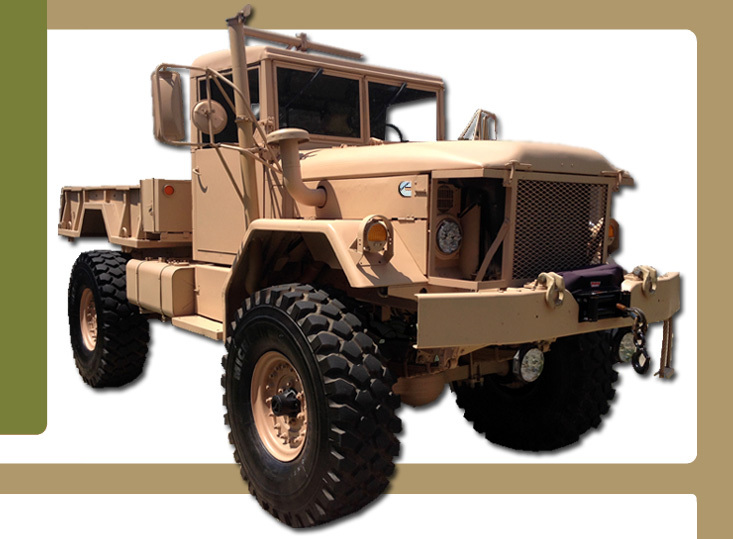 Those with large military vehicles tend to do these pre-trip inspections before each and every trip onto the highway. 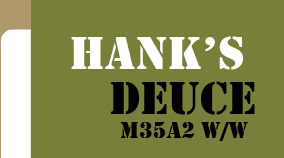 This hobby is blessed in the ability to own these vehicles, and it could only take one or a few accidents to change the hobby for the worse. Before a car show I opened the Deuce hood and started looking around for anything that didn't look right since the last time I drove it. 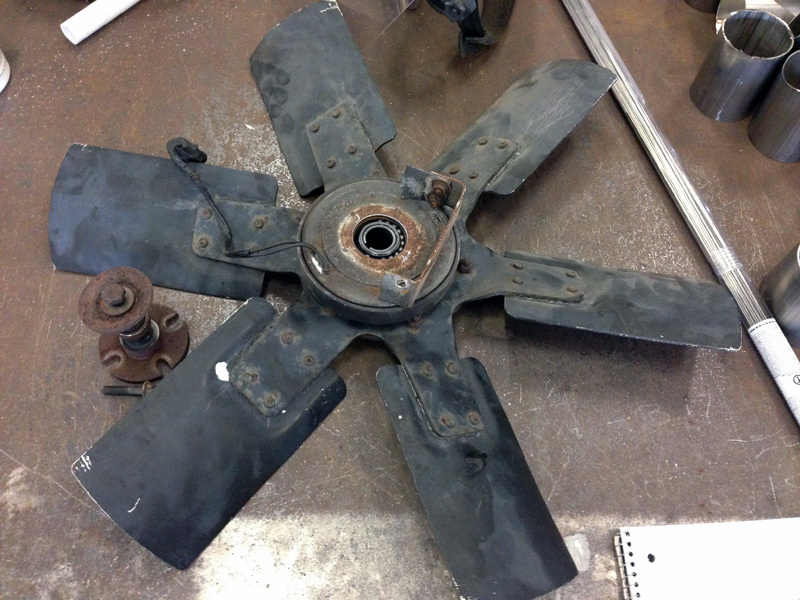 While the engine was off I took my hand and spun the 23" radiator cooling fan. 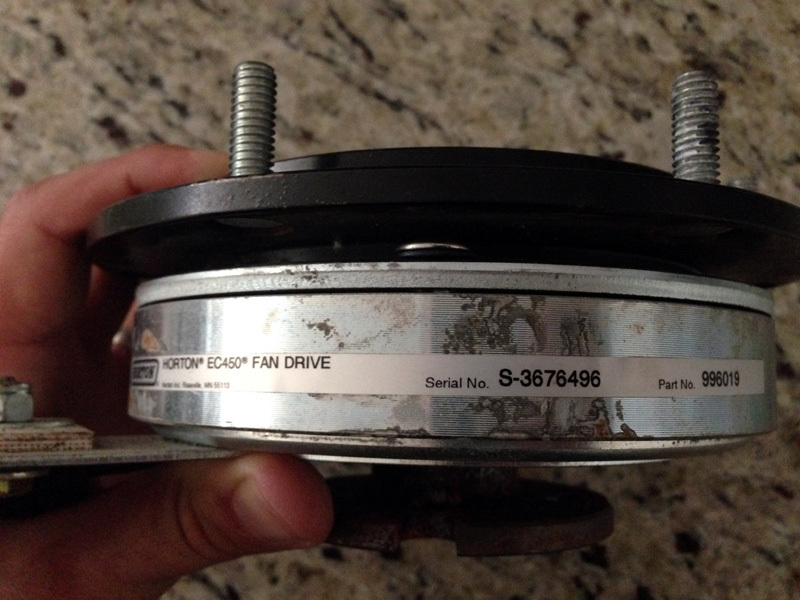 As the fan started to spin I noticed the fan clutch was at an odd angle and it made a noise. 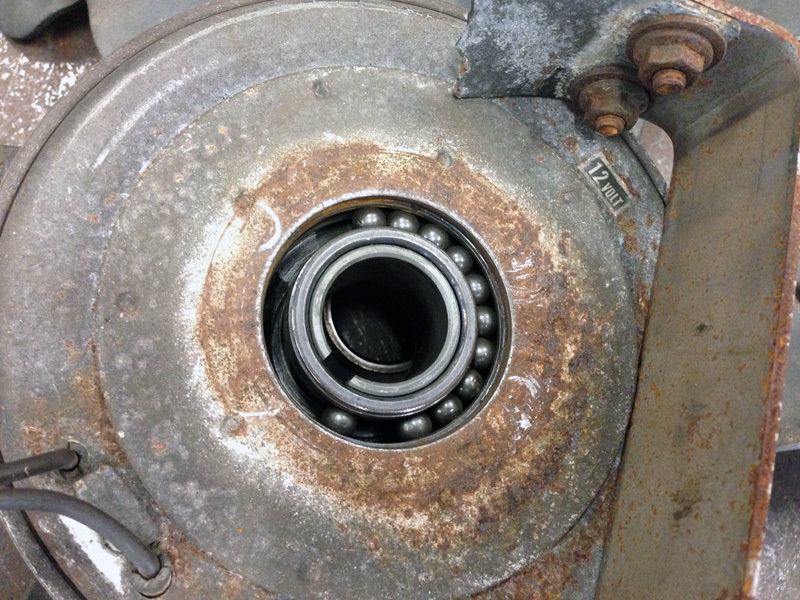 Turns out the rear sealed bearing had started coming apart! 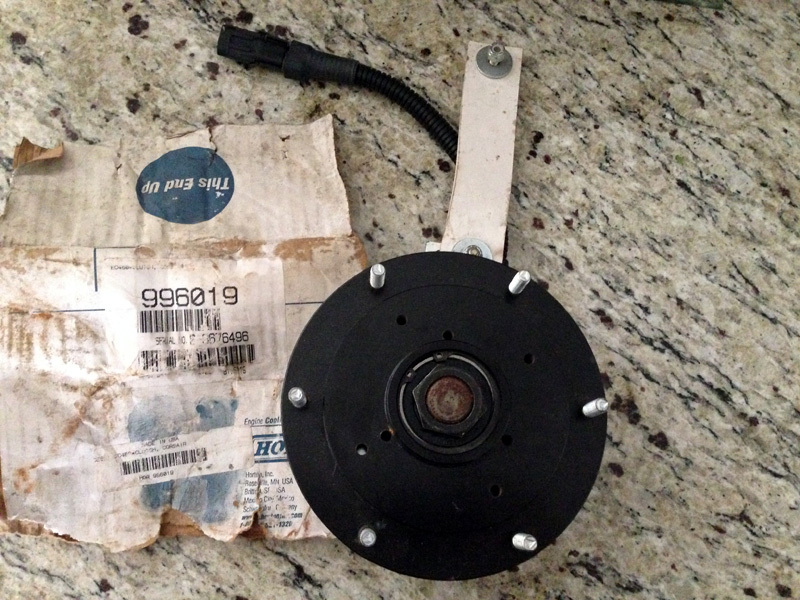 A call to Horton revealed the MSRP of the 12 volt electric fan clutch is $800. After I picked the phone up off the floor I made a desperate search of the internet for a cheaper solution. 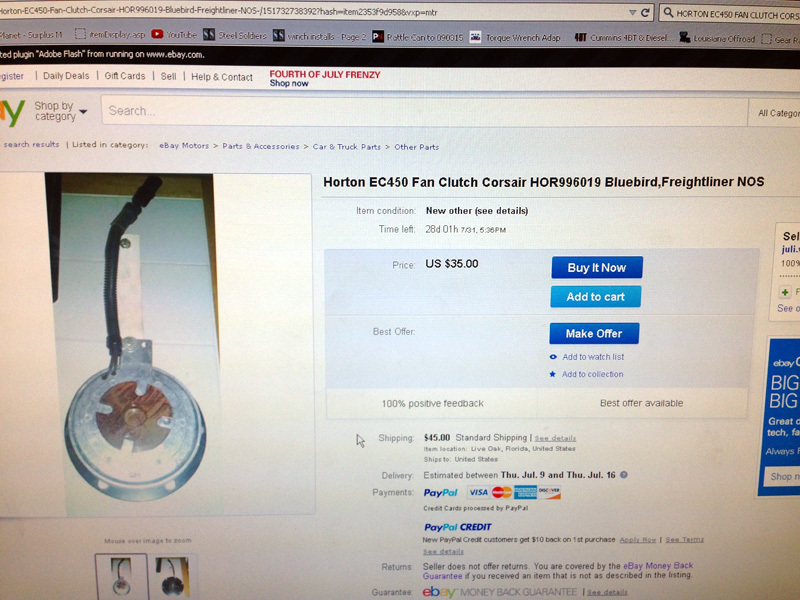 A few websites later I stumbled upon a new old stock (NOS) Horton 12 volt fan clutch that I needed (model EC450). I couldn't click Paypal fast enough. The price was $35 + $45 shipping due to the weight. SHUT UP AND TAKE MY MONEY! 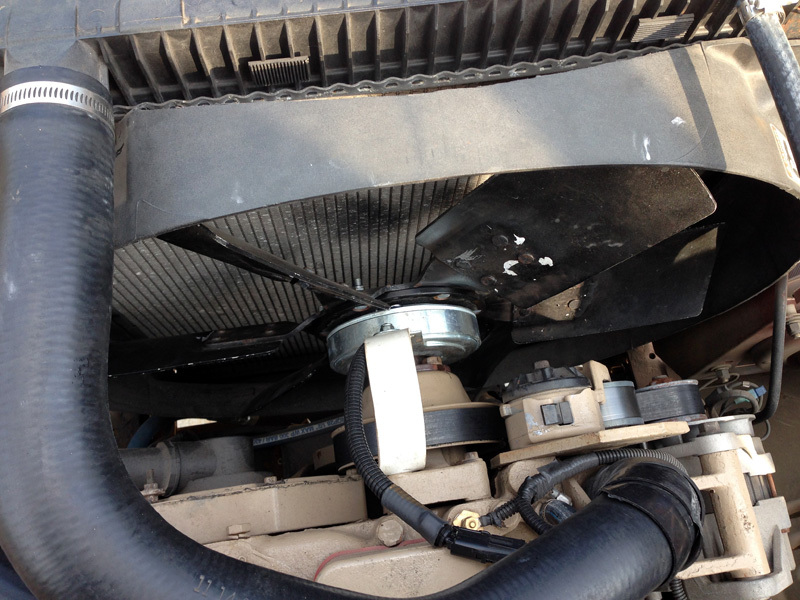 A few days later the fan clutch showed up. 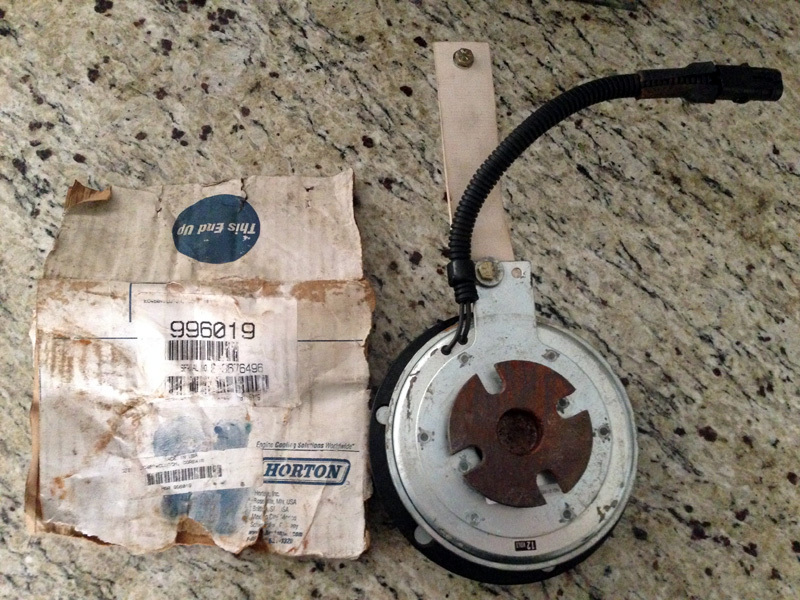 I expected a box of dirty magazines or rocks, but low and behold the Horton fan clutch was in there. 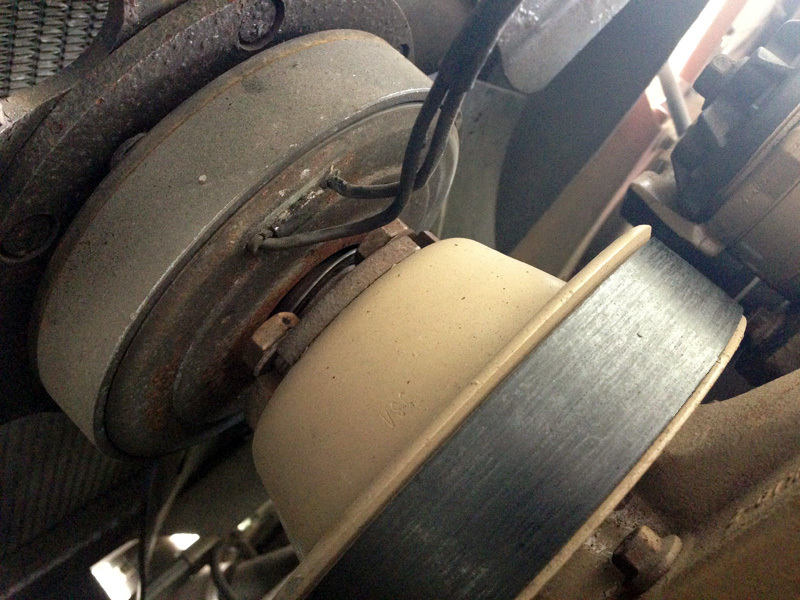 I replaced the existing fan clutch without problems. The wiring harness plugged up without modifications. Thanks EBAY!